any network in the world! All of your phone needs at the touch of a button. Thousands of unlocked phones and tablets that can be used with any network provider in any country in the world. Extremely fast and permanent remote service which does not void the manufacturer's warranty. 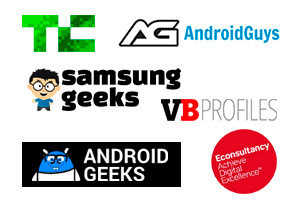 Recommended by the phone manufacturers and network providers themselves! Download a full IMEI report on the current status of your phone for FREE! Check to find out if the phone has been reported due to loss, theft or unpaid bill. Find out why you cannot make calls, if the phone is under warranty, to which network provider the iPhone is locked and if the iCloud Activation Lock is enabled. Top up or recharge any prepaid phone in over 200 countries instantly and securely with doctorSIM. Send money to your friends and family located anywhere in the world. With total transparency and no hidden costs, conveniently buy airtime 100% online using your PC or phone. Browse for the latest products and accessories for your cell phone at the doctorSIM Shop. Delivered straight to your door. Get the best deals and redeem credits accrued from your other purchases at doctorSIM. A custom-made solution for unlocking phones at the lowest price and with discounts for large orders aimed at freelancers and resellers. A white-label technology solution designed to make doctorSIM services available to any user. If you find a lower price on any other website, we will gladly refund the difference! doctorSIM is rated 4.7 out of 5 stars in Google reviews, Trustpilot and Ekomi. Request your service and you'll be enjoying the benefits in no time. Top-class customer support available 24 hours a day by advanced AI, chat and e-mail. All you need is an e-mail address and an internet connection to use doctorSIM. If you are not completely satisfied with our service, we will return your money. We use the safest and most widely deployed standard technology security protocol SSL. Phone manufacturers and network providers across the globe recommend our unlock method. With offices in Boston, London, Madrid, Mexico City and Santiago, we are expanding rapidly, helping our customers across the globe save money and permanently unlock their phones safely. With a clear consumer focus and Robin Hood approach, we are pioneers in our field. But do not take our word for it, check out our press coverage above! 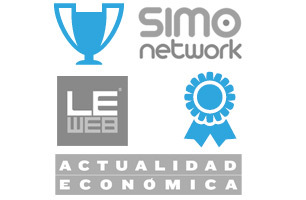 We were nominated as one of the world's top 30 startups at LeWeb 2008 and top 100 ideas by Actualidad Económica (AE). We have also featured prominently at various consumer and internet trade shows and conferences. Washington Cavalcante Great! Great! Great! On time! T.M Excellent Easy and amazing service. I was so happy with how fast my phone was recharged and ready to use. More than 18,574 reviews and ratings by real customers.